Wizards of the Coast and Cryptic Studios recently confirmed that an action MMORPG based on the Magic: The Gathering card game is currently in the works. Depending on your level of cynicism, this could be cause for jubilation or for concern. What could be a gorgeous fun-filled adventure through the infinitely many planes of the multiverse could just as easily end up as a boring slog through repetitive environments. But there are a few things that, if pulled off correctly, can make the Magic: The Gathering MMO the fantastic experience fans want it to be. Cryptic Studios has already confirmed that, like the card game, players of the MTG MMO will be taking on the role of Planeswalkers, the iconic world-hopping magic-users ever-present in the game’s lore. What better way to convince you that you are a powerful Planeswalker than to include boss battles against some of the franchise’s most famous characters. Few things could be more satisfying than personally silencing the scheming Lilianna Vess, fending off the curse-stained Garruk Wildspeaker, or just punching that goody-two-shoes Gideon Jura in the face. Like seriously, dude, do you have to be so good all the time? 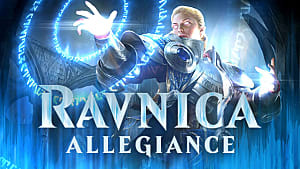 Nearly every plane in the Magic: The Gathering multiverse features competing factions and conflicting interests, but arguably none more so than Ravnica, the city of guilds. This plane is home to ten competing guilds with very different philosophies, each representing two colors of Magic: The Gathering’s white-blue-black-red-green color pie. In terms of gameplay, this would make Ravnica the perfect locale for a complex web of allegiance quests. Will you devote yourself to keeping the peace alongside the Boros Legion? Do you wish to let your sadistic impulses run wild in the Cult of Rakdos? Or will you blindly execute the shady orders of House Dimir without being told their master plan because that’s just how House Dimir rolls? Furthermore, devoting your character to one guild could lock you out of others, making story content and quest rewards more diverse for each player and creating an overall more unique experience. 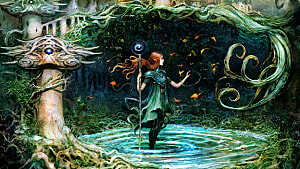 The white-blue-black-red-green color pie of Magic: The Gathering is meant to represent five separate types of magic, their philosophies, and different styles of play. So when figuring out classes for an MTG MMO, it would make sense to simply create five classes based on the five colors of magic, right? Wrong. World of Warcraft has twelve classes with two to four specializations each, for an effective total of thirty-six. With the addition of the upcoming Stormblood expansion, Final Fantasy XIV will contain fifteen potential jobs. Even Neverwinter, Cryptic Studios’ MMO based on the Dungeons & Dragons universe, has eight classes with two specializations each, for sixteen total. Comparing these numbers makes five classes based on Magic: The Gathering’s five colors seems like a paltry amount. 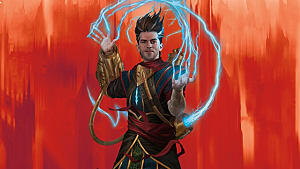 While the basic five colors of magic would be a good starting point, further customization would be necessary to allow players to truly craft their perfect Planeswalker. This could be done in two ways. First, the developers could go with the more traditional MMO route and utilize specializations within each of the five colors. For example, a white Planeswalker could elect to specialize in hieromancy, healing, or synergy (all of which are characteristics commonly associated with white MTG cards). 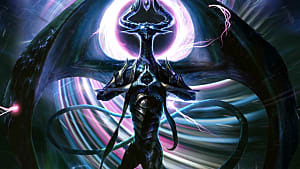 Black Planeswalkers could choose to spec in necromancy, debuffs, or crowd control. Having two or three specializations within each color would put the MTG MMO’s number of classes on par with its contemporaries. Alternatively, the MMO could take a page from the card game’s playbook and allow players to effectively multi-class and utilize two or even three colors of magic at once. 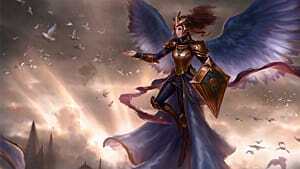 In Magic: The Gathering, a green-blue deck typically functions vastly different from a green-white deck, so the same principles could be applied to multi-classing in the upcoming MMO. Going with this route of character creation would allow the game to stay truer to its source material while still keeping its number of customization options comparable to other MMOs. 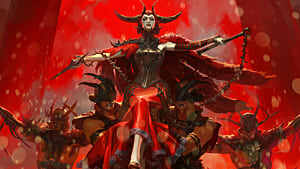 Magic: The Gathering is currently on a pretty fast-paced release schedule, with players having access to new card sets and lore about every three or four months. Though it would be pretty unreasonable to expect Cryptic Studios to pump out World of Warcraft-sized expansions at that pace, the development team has proven capable of releasing decently-sized modules for Neverwinter at 3-5 month intervals. Story events and expansions that coincide with the CCG’s new sets would help maintain interest across the two games and would keep fresh and interesting content pouring in at a steady pace. Doing so, however, would require a pretty close relationship between the two games’ respective development teams, and synchronizing the development cycles of a collectible card game and an MMO is no easy feat. That being said, Cryptic Studios does already have a working relationship with Wizards of the Coast thanks to Neverwinter, and a month or so gap between the two games’ expansions would not be the end of the multiverse. Speaking of Neverwinter, let’s just take a moment to appreciate its control scheme. Rather than stick with the typical MMO 12-button-hotbar-with-like-30-something-more-icons-cluttering-the-UI method of controls, Neverwinter sports a much cleaner limited skill slot system that’s just as effective to use with a controller as it is with a mouse and keyboard. 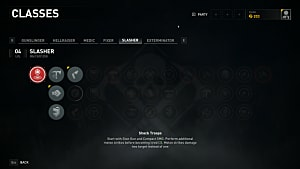 With a strict limit on the number of skills you can have equipped at one time, the level of complexity seen in high-level World of Warcraft or Final Fantasy XIV combat is drastically reduced. Though some might argue that this makes combat more limited or dumbed down, it’s hard to deny that it also makes the game far more welcoming for beginners and intuitive for action-oriented gameplay. 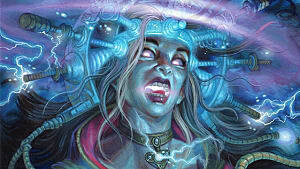 The Magic: The Gathering MMO isn’t going to beat WoW at its own game, so it might as well play its own. The MTG MMO is going to be free-to-play, an adjective that frequently goes hand-in-hand with pay-to-win, which in turn typically goes with bad. Keeping microtransactions worthwhile while preventing them from being overpowered is a tough balancing act, and one that Cryptic Studios has not always managed perfectly. Despite Neverwinter’s many good qualities, a common complaint from players is the game’s PvP being dominated by characters using paid premium content. It’s a problem that should not return in the Magic: The Gathering MMO because nobody wants to get ganked by some Planeswalker that paid for the ability to literally drop a mountain on us. Whether or not Cryptic Studios can pull off the MTG MMO remains to be seen; but with no release date in sight, it appears that we will have plenty of time to wonder and speculate. I’ve outlined what I think the game needs in order to be successful, but what do you think? 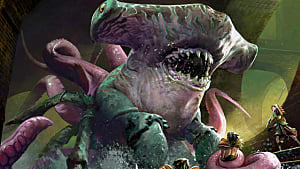 What planes, characters, or features do you need to see in a Magic: The Gathering MMO?